There is a lot of hype in information technology around the cloud as the "end all and be all" solution for business data, and there’s good reason for that hype. Deployments of cloud technology can offer businesses some serious benefits for many use cases, such as cost savings, scalability, and time to market. 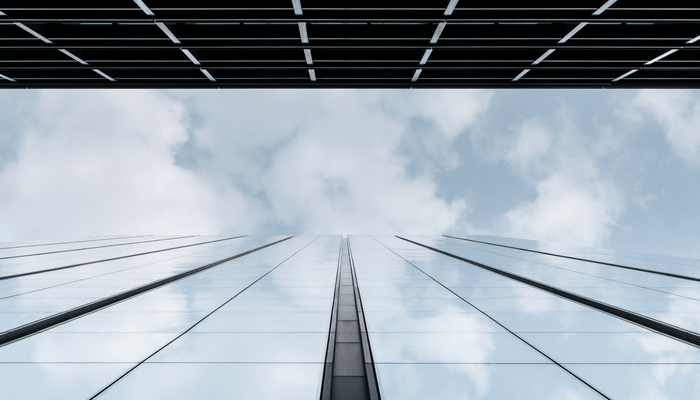 According to RightScale research, over 9-out-of-10 enterprises have adopted cloud technologies to some degree, including software-as-a-service and other cloud innovations. However, there are reasons and use cases where dedicated servers are a better choice than cloud. If a business workload has stringent data security requirements or high availability and uptime requirements, a business’ needs could be best met with server resources that are rented and reserved solely for their needs. Read on to learn the difference between dedicated servers and alternatives, some of the most common use cases, and benefits for businesses. What’s the Difference Between Dedicated Servers and Alternatives? Dedicated servers are physical servers, as opposed to cloud servers, which are used exclusively for the workload of a single business client. While dedicated servers can be hosted on-premises by organizations, the dedicated server use cases explored in this article will focus on remote dedicated server hosting services delivered by a third-party data services provider such as Atlantech. For more insights, we recommend Virtual Servers vs. Physical Servers: Which is Best? Enterprises, organizations in highly-regulated industries, and firms with high needs for workload availability and capacity are among the businesses most likely to pursue dedicated server options through a vendor. With the help of a provider, organizations are able to outsource server setup, optimization and ongoing maintenance, including regular security patching. When dedicated servers are hosted in a local data center, organizations can even retain the ability to tour the facilities and pay an on-site visit. Alternatives to dedicated servers include cloud servers, including public cloud resources hosted in a multi-tenant cloud environment and shared among multiple businesses. While this approach to data storage offers the benefit of cost savings due to shared resources, it may offer diminished data security and some loss of control. Organizations with mission-critical applications may choose a dedicated server for improved reliability and uptime. This can include internal applications for employees which are crucial to seamless company operations, or customer-facing apps with significant demand. Dedicated data resources can offer the benefit of improved control over workload and superior reliability. If your organization experiences an outage or disruption due to an information security incident, weather event, or other crisis, you’ll need fast and immediate access to your data backups to resume operations quickly and with minimal disruption to your employees and customers. Dedicated servers for off-site backups are one tool that organizations can use to achieve a resilient security stance and better business continuity planning. Websites and web applications with high-volume traffic are among the most common use cases for dedicated web server resources. This can include web-based workloads with periodic, heavy spikes in demand which are not necessarily well-served by cloud resources. For these workloads, dedicated servers offer the benefits of guaranteed uptime, guaranteed availability, and guaranteed resources for times when demand hits peak. Organizations who host B2B applications, including software-as-a-service application, generally choose dedicated servers over cloud resources as a tool for client satisfaction. By maintaining control over how their application is hosted, they can ensure the SaaS users don’t experience periods of prolonged downtime due to superior dedicated server availability. As organizations adopt unified-communications-as-a-service, dedicated servers can be the best mode to support the significant file size and bandwidth requirements associated with video conferencing and video streaming. Dedicated servers may offer superior features over cloud alternatives which are designed to support the significant demands of regular video file transmissions. Processes and applications built on big databases may require the support of a dedicated server. Common use cases with high input/output (I/O) intensive databases or big data databases include technologies such as Oracle, Microsoft SQL and MySQL. These use cases may also involve big data-based applications, such as internet of things (IoT) streaming data or risk models which are based on continual calculations. Dedicated servers can offer superior access to important data assets, as well as improved access to customized software and configurations to support these demanding workloads. While public cloud security has improved significantly, there are risks associated with shared cloud resources which some organizations are unable or unwilling to absorb. In other cases, an organization’s compliance requirements may dictate the use of dedicated server resources on-premises or with a compliant, third-party vendor. In any cloud hosting scenario, there are risks of data leakage associated with issues such as server and access configuration errors. In contrast, dedicated servers offer the benefit of access privileges which are limited to your team members and trusted support staff at your vendor’s organization. With a third-party hosting provider who’s committed to information security, a dedicated server can improve your organization’s protection against regulatory risk and cybercriminals. Is a Dedicated Server the Right Choice for My Business Workload? There are no one-size-fits-all solutions in information technology. Some organization’s needs and workloads are best served with cloud hosting. Others find their requirements are best met with a dedicated server hosted at a trusted, local vendor. For many organizations, the right approach to data involves a mixture of cloud and dedicated server technologies. Finding the right vendor partnership is just as critical as determining the right way to store data. An expert, trusted vendor can help you understand your options, and guide you to solutions which optimize your budget, increase your security and resiliency, and ensure you achieve always-on availability for your important business workloads. Understanding your options and selecting the right partnership is critical to protecting and accessing your business data. 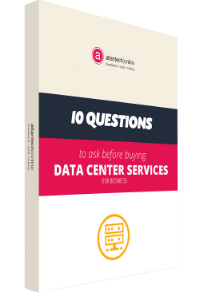 To empower your organization to make the right choice, download the free eBook: 10 Questions To Ask Before You buy Data Center Services For Your Business.